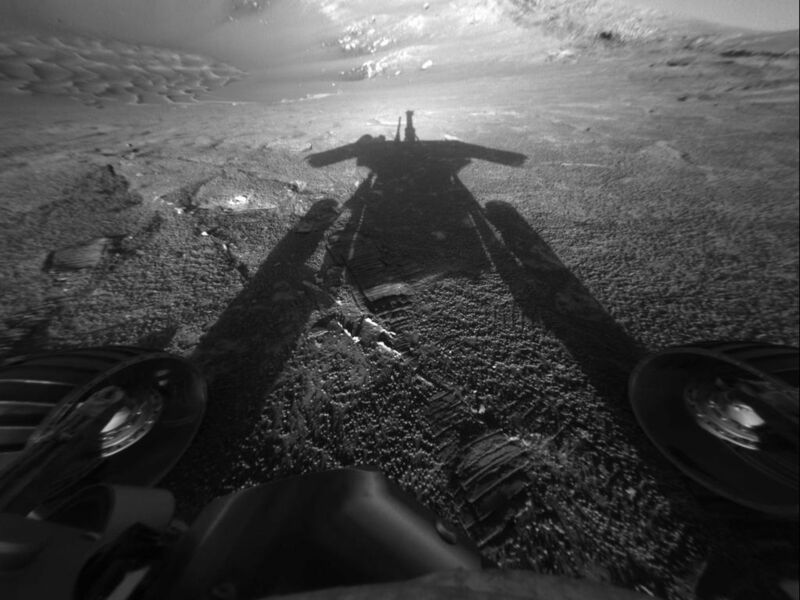 This self-portrait of NASA's Mars Exploration Rover Opportunity comes courtesy of the Sun and the rover's front hazard-avoidance camera. 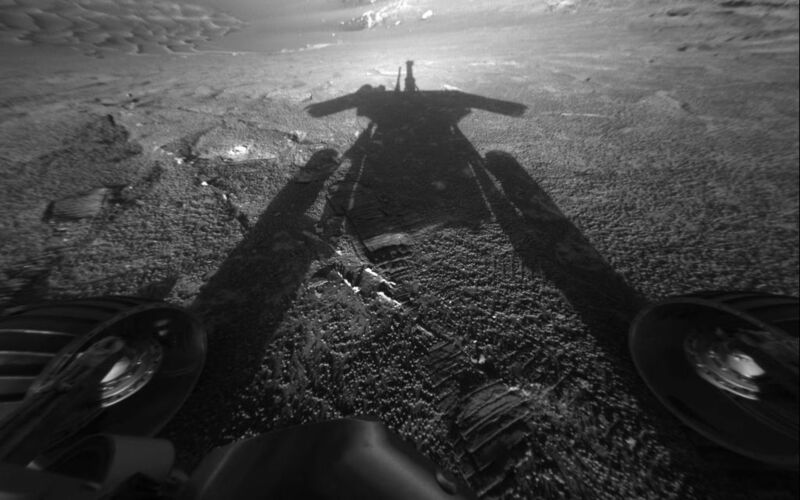 The dramatic snapshot of Opportunity's shadow was taken as the rover continues to move farther into "Endurance Crater." 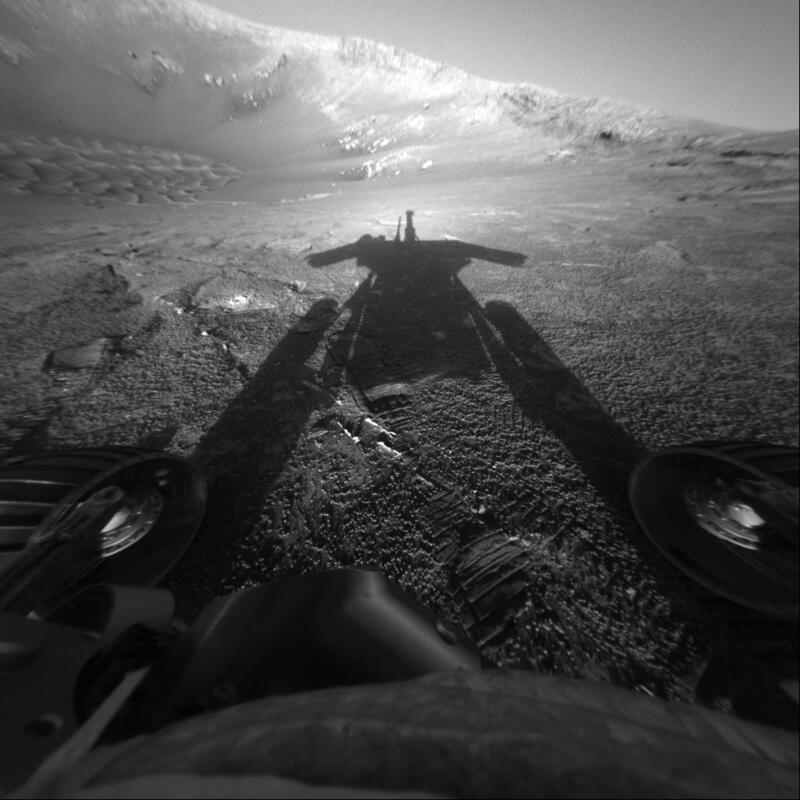 The image was taken on sol 180 (July 26, 2004), a date that marks achievement of fully double the rover's primary 90-sol mission.